The time it takes to unlock a safe varies based on the type of safe and the experience of the safe locksmith. Every safe varies by design and it is becoming a popular practice for many safes to have additional safety features. These features are put in place to make valuables more secure. Due to these factors, a safe lockout can last anywhere from a few minutes to an hour. 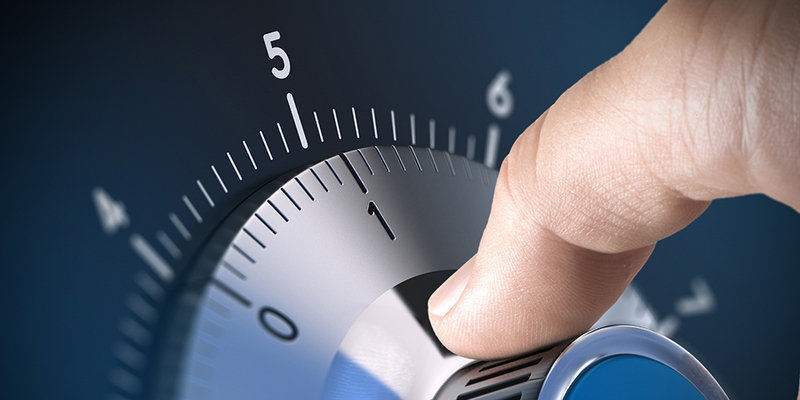 The safe locksmith will let you know how long they expect the process to last. We implore you to be patient with them while they work to get you back into your safe. In most cases, no. The safe locksmith is trained to use an entry method that will not compromise the integrity of your safe. However, all safes are made differently, and some have features that others do not make use of, so it is very hard to give a general answer to this question. Rest assured that the first method our safe locksmith will employ will not cause any damage to your safe. Some of the other methods employed to unlock a safe might cause some forms of minor cosmetic damage, but these are only used if there is no success using the first few methods. The contents of your safe should not be damaged under any circumstance while our safe locksmith is working to unlock the safe. However, there are some instances where the safe locksmith might have to cut into the safe or use other robust methods to attempt to gain entry. Ideally, none of these entry methods should cause any damage to the contents of your safe, but there is a possibility that it could happen. This depends on the nature of your safe (size etc. ), so we want to make sure that you are well aware of every possible outcome. Safes have become extremely popular over the past few years. In the recent past, most safes were used almost exclusively by major corporations. Now, they have been scaled down considerably and are accessible to many homeowners. Safes give people an added security boost and they are greatly appreciated by many. Of course responsible owners should look into everything that goes into buying a safe. As with any security device, there is always the risk that the owner might get locked out of their device. If the safe breaks of if you forgot your safe combination, you will need assistance. This sounds absurd and even funny to many owners. That is until it happens to them. Not to worry, though, because this is for this exact reason that the safe locksmith at United Locksmith exists. Homeowners that have gone through a safe lockout understand just how scary it can be when faced with the possibility that you might not be able to get back into your safe, or that the precious contents of your safe might be damaged in an attempt to get them out. 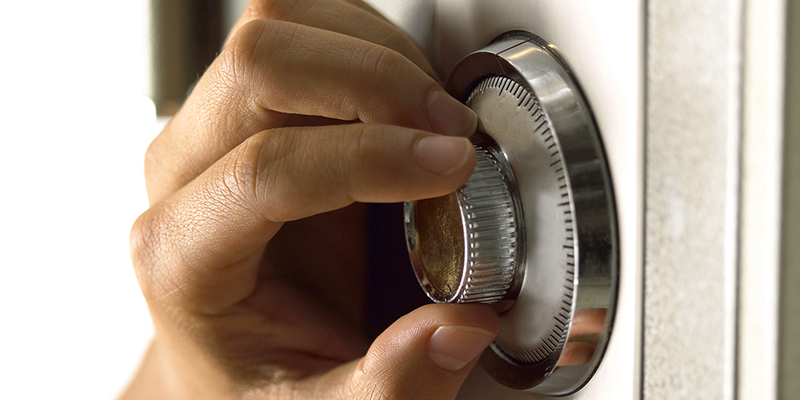 Do not fear, because our safe locksmith will help rectify your problem as quickly as possible. The numbers on the dial of a combination lock usually point to the number of wheels that are housed in the wheel pack. The combination dial of the safe is connected to a spindle that turns the drive cam. Within the lock, the drive cam is connected to a driver pin and this pin is meant to connect with the wheel fly. The rotation of the dial moves the driver pin and allows it to hit a notch on the wheel fly that begins to set the lock in motion. The lock is moved by the process of “picking up the wheels”. This refers to the way the turn of dial allows each wheel to be picked up. This motion occurs because the wheels have wheel flies on each side. The notches on each of these wheels let them pick each other up and spin in the right motion. This motion can only be activated once the dial is turned in the right direction. It has become a much-coveted skill to know how to unlock a safe, and this is due in part to the fact that so many homeowners are now making use of safes to secure their belongings. It is also a much-coveted skill because it’s cool. Safe locksmiths are cool people. There are several different methods that a safe locksmith can use to help get you back into your safe, and we’ll run through all of them so that you have an idea of what will happen to your safe and to the contents of your safe once you contact a safe locksmith to help you with the situation. When your safe won’t open there are a many potential ways to get back in. The process of manipulating a lock might take longer than any other method that can be used to bypass the security of a safe, but it is the go-to method for many a safe locksmith. Safe locksmiths prefer to use this method to unlock safes because it negates the possibility of your safe (and its contents) being damaged. Manipulating a safe relies on the safe locksmith listening to the safe as they attempt to manipulate it into opening. Safe locksmiths are known to make use of stethoscopes and other sound amplification devices to help them move the dial along with its corresponding wheels into proper alignment. They listen intently and attempt to catch the sound that is made once the driver pin hits the notch on the wheel fly. This signifies that the unlocking process is on the right track. This is the preferred method of many safe locksmiths because it does not damage your safe but it manipulates it into opening. It takes time, patience, and want, so our safe locksmith will make sure that homeowners are aware of this. Drilling is another common method that a safe locksmith can employ to open a safe. This method is a lot faster than manipulating the safe but it does cause some minor cosmetic damage. A small hole is drilled into the lock and an instrument is inserted into the drilled hole to help the safe locksmith see how to open the safe. This practice has become much harder in recent times due to the added security measures that many safes now have. These measures make it harder to bypass the lock. If homeowners know of any of these added security features, it is imperative that they let the safe locksmith know beforehand. If there are stringent additional security methods in place, then the safe locksmith will probably not opt to drill the safe. Scoping a safe is very similar to drilling, the only difference between these two access methods is the inclusion of a borescope. A borescope is an instrument that is used to inspect the internal makeup of a structure by inserting it into a small hole. This option is most commonly used in place of drilling once the safe locksmith is made aware of the fact that there may be additional security measures in place. This method allows them to scope out the security measures and work to bypass them so that they are not triggered because this could potentially damage the safe or damage the contents of the safe. These methods are only employed by our safe locksmith as a last resort. There is no point in using any of these methods unless the ones described above have no success at all in opening the lock. The reason behind this is the fact that these methods damage the safe beyond repair (in most cases) and it is not advised that they are used as the first option to open a safe. Our safe locksmith is well versed in using the above methods to help you gain entry to your safe. If you happen to hire another locksmith that bypasses everything discussed above and goes straight to attempting to cut and pry open the safe, make sure that you stop them right away.